The revised plan for Main Street had been proposed as RealtyLink prepared to welcome a second wave of tenants to the 58-acre site after the first phase went well. But it’s not clear now if that second phase will happen. The second phase was expected to be followed by a third phase, assuming the second phase went well, and the third phase could have included the multi-use development. 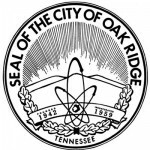 The City Council discussion at a non-voting work session this coming Tuesday is expected to include a review of the project and possibly provide direction to Oak Ridge City Manager Mark Watson. Another topic to be discussed Tuesday, an apartment complex proposed on the former American Museum of Science and Energy site, is related to Main Street Oak Ridge. The AMSE property was transferred or is being transferred to a company affiliated with RealtyLink in an agreement that is associated with the Main Street Oak Ridge development. The Oak Ridge Municipal Planning Commission unanimously approved a rezoning and plan for that apartment project in December, and the City Council approved them in a 5-1-1 vote on Monday. The discussion about the apartments at Tuesday’s work session is scheduled to include contract changes with RealtyLink; a payment in lieu of taxes agreement, or PILOT; and involvement of the Oak Ridge Industrial Development Board, which considers PILOTs. Also on the agenda for Tuesday is a review and discussion of a proposed final draft and a schedule to adopt a City Blueprint. The work session will start at 6 p.m. Tuesday, January 22 in the Central Services Complex Multipurpose Room on Woodbury Lane. You can see the agenda here. Main Street Oak Ridge is the project to redevelop the former Oak Ridge Mall in the center of the city.